I’m going to do the impossible – pick my favourite 10 centuries from Sachin’s 50 centuries. I’ve attempted a similar task before – picked out 20 moments from 20 years of Sachin. Only I know how long that post took me to write. It’s indeed a tough task to choose from 50 gems; how these folks managed to single out one is something I cannot fathom. By nature, we humans are a biased species. Therefore, I admit that though all his 50 centuries have brought me delight, these 10 probably are more special than the rest. This one has to top my list – the list being about Sachin’s centuries, or any other all-time favourite innings of all batsmen worldwide. This one is right up there. If you have read my blog or followed me online or know me in the offline world – you should’ve guessed this right away. This one is my first memory of GOD. That image of a 5ft5″ inch 18-year old fella blasting the likes of Merv Hughes (He whose long moustaches scared the little me to death) , Mike Whitney and McDermott (with all that white cream looked even more terrifying) along cover and straight down the pitch cannot be forgotten. From this innings onwards I knew that I would have something to cheer about even if India were to lose a match. India hit the shores of England after a dream turned sour in the ‘96 WC semi-final loss against SL. To add to more woes, Sidhu quit the tour after first test and Manjrekar was injured. Fortunately India found 2 saviours who would go a long way to support the little wonder in the years to come. In the 3rd test, Tendulkar and Ganguly came together at 33/2 and were separated after 255 runs. 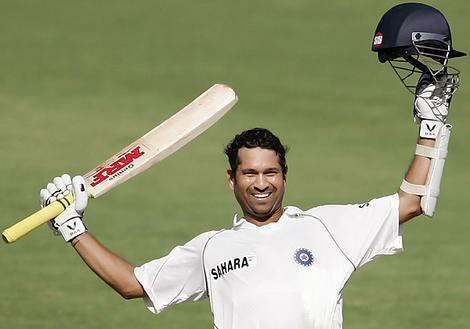 Tendulkar’s 177 was full of class and poise. His second on the tour and this time not part of a losing cause. The joy experienced from those 2.5 hours of watching the Master and the Magician on that 22 yard strip cannot be described in words. Tendulkar cut, pulled, hit drives off square, in the V and delivered a crash course in batting. Along with Azhar, he scripted one of India’s most beautiful batting display. They came together at 58/5 and when Azhar departed at 280 they had piled up 222 runs in a mere 40 overs. Sachin’s drives off front and back foot off Allan Donald, ensured that the frown did not disappear from Donald’s face that whole afternoon. Only a miracle could have ended Sachin’s innings and Adam Bacher’s catch out of thin air was nothing less than that. This series was advertised as the war between Shane Warne & Sachin Tendulkar. Warne fresh from his Ashes heroics and Sachin in the form of life. The rest 20 players were mere pawns in the battle of these two stalwarts. In the first innings Sachin hit the 2nd ball of Warne for 4 and then was out caught in the slips in the same over. When he took guard in the 2nd innings,the writing on the wall was for all to see. He hammered the Aussie attack, Gavin Robertson regretted his debut, Australia went on a backfoot despite a lead of 70+ and cloudy weather, and Warne realised he would never be as successful against India. Sachin Tendulkar crafted an epic, his 2nd at Chennai which was to be followed by 3 more memorable knocks in the years to come. I envy Chennai crowd for a very good reason. The year after his terrific 155*, he looked good to take India to a thrilling victory over Pakistan. I was in college following the last bit of his innings with my buddies PK and Tugga on radio. This till date remains my biggest heartbreak after the 1992 WC one run loss to Australia. It was the first and only time I cried after he got out and India lost the match. Probably the first time I also dealt out handful of abuses towards the remaining 10 idiots. Sigh, cannot speak more about this one! Check out the clip and just listen to the deafening applause the master got for every shot he played and the ovation when he got out thanks to a suffering back. The reason he is GOD is because despite an unforgettable miraculous innings of 281 by Laxman and record breaking partnership with Dravid (180) in the previous test, one can still recollect the gem of 126 that Sachin played at Chennai. One of the most controlled knocks I’ve seen; yet one of the most fluent. He had not contributed as expected wit the bat in the first 2 tests barring a couple of 50s in the first test in Mumbai which India had lost miserably. The Aussies were expecting it, the Indian fans were expecting it, the whole cricketing world was expecting it and Sachin, like he had done a million times before, did not let anyone down. One of the rare times he got to his 100 with a 6 and with that he had achieved 25 test centuries and he was not even 30! The sheer bliss of watching the master and his disciple belt out mind boggling strokeplay. The first time Sachin brought out the innovative shot from his repository, the one that fetched 6 runs over third man. Sehwag got a century on debut, and along with Sachin enabled India amass 350+ runs in a single day. We still went on to lose the match; but for a fan, that day was one great memory to savour. One of the few memorable moments from an otherwise forgettable controversy filled tour for India. Steve Waugh’s last match was made memorable by Sachin’s uncharacteristic century. He did not play a single shot on the off-side and avoided the drive – his trademark, his identity. He was struggling for form, no century in the last 14 months and he curbed all his temptations. For me it was most painful to watch – the agony of not seeing Sachin in his usual element. But there was a definite feeling of pride for the man who kept his head down and went about achieving his objective – ensuring India did not lose the series and he returned to form. The emotions he evokes among us fans & the people commenting on television – in the clip listen to Harsha when Sachin reaches his century. It was brave of England to return to India to continue the test series after the Mumbai attacks in Nov 2008 and it was only appropriate that Mumbai and India’s favourite son put the smile back on the faces of millions even though for a few minutes. There is no way that the haunting memories of those gruesome attacks can ever be wiped away but Sachin that day gave us fans loads to cheer about. Sehwag demolished the Poms but Sachin along with Yuvraj saw us through to the final destination. One of the rare times he did not leave the work half done for others to complete. One of those rare knocks where you’d see him express joy like never before. Now you see why I envy the Chennai crowds, I’ve listed my favourite 9 knocks and 4 of them have come in Chennai! His 50th century, the place where no batsman has gone before. A staggering number, a record that will remain unbroken for years to come. Sachin might have to take re-birth to break his own records. India was in the worst situation – 136 in first innings, even on that damp pitch, in his knock of 36 he looked settled and at ease. It was expected that if the pitch eased out, he would show what batting is all about. Despite a 484 deficit the Indian batsmen came back strong and Sachin & Dhoni took over from where Sehwag & Gambhir left. At the end of the match he said we wanted to send a strong message and he was successful at that. Counter attack at its best. He was so fluent in his stroke play, he almost had me wondering if he could pull of a miracle and save the match. Maybe if Dhoni had not got that peach of a delivery, maybe we would’ve been witness to another miracle. Sigh! SRT has got 7 centuries this year, the highest for him in a calendar year since he started playing in 1989; for a man closing in on his 40s, he is playing like he is 20. The 20+ somethings in his team need to be ashamed of themselves and seek inspiration from him. I seriously envy the players who have got a chance to play with or against him, what a story they will have to narrate to their kids and grandkids. But I will too have one to narrate to mine – they missed out on seeing GOD take birth – I’ve been fortunate to have witnessed 21 years of him – from the time he took baby steps into this cricketing world and ensured a trillion wonderful memories for us crazy fans! If you wish to rewind all those 50 centuries, EspnCricinfo has compiled them in pictures for us to relish. Thank you Sachin Ramesh Tendulkar ! There is one, which I personally think, while overlooked by most statisticians, was pivotal in his career. His 201 (I may be slightly off here) for Mumbai against a touring Australia at the Brabourne. His first first class double century, and a REAL statement of intent. This is the only time I remember a player of his stature playing for a domestic side with the sole intention of not letting the Australians taste victory even in a tour match. And it was MAGNIFICENT! I think many started believing on him > Warne. Mandar: That innings set the tone for the entire series. But guess it is not recollected enough as it was not an “international” hundred.